She's usually about 140lb bw, has a 200lb bench and easily knocks out 30 reps of chinups with a 45lb plate strapped from her waist. If you have a spare 5mins it's well worth watching, it's in New Zealand Maori but subtitled. Hi Jim, I noticed in your training journal that are taking creatine after your workouts. Isn't it recommended to take before your workouts so your system is full of it when you need it? Personally I don't think it's too big a deal, I think it's more the consistency of taking it rather than when you take it IMHO. It's just easy for me to chuck it in a protein shake, I'm not into pre-WO drinks at all otherwise that would have been a natural option to mix into. My reasoning for taking it post-WO is two pronged really, a) the natural sugars from the oat milk will act as a transporter for the creatine b) my HR will be somewhat elevated allowing for faster absorption and delivery to the muscles. Hey Jim...what is the apple cider vinegar/lemon thing that you were talking about in another thread? Something to do with making a drink or something using he ACV and lemon for boosting metabolism/fat burning and digestion? I bought some ACV this weekend as well as lemons, just need to know what I do with them LOL! Hey I want to know more about this honey lemon whatever drink that you referenced in SVTs log. Could you explain it more please? 1 x tbsp ACV, 1/2 squeezed lemon mixed into a cup of warm (not hot) water. If you have any pure Aloe Vera juice you could also throw in a tsp of that as Aloe is anoter thing that's beneficial for digestion. Good for bloating, soothing the lining of the stomach and helps the body to digest proteins. It can help with the repair and regeneration of epithelial tissue in the digestive system, leading to better absorption and utilisation of nutrients as well as assisting the natural cleaning of the intestines. Just picked up some ACV at the store to go with my morning lemon. Would throwing in a scoop of fiber help at all (like in the Antoine video with Mike Johnson). Would the fiber negate any of the positive effects at all? I don't, but yeah you possibly could do. Would change the taste of it though, as well as thickening it up. As for changing the positive effects of the drink, it may do, I can't be 100% sure but my logic is telling me that it would have some kind of interaction with the other components as well as needing a slightly different method of being metablised once it's been ingested. Personally, I'd take the lemon/warm water/ACV/Aloe Vera juice (optional) separately from the fibre as psyllium is water soluble (a good psyllium usually contains 60-70% soluble fibre, eight times more than something like oat bran). What do you think about these supplementation for a person who eats much more protein than fats/carbs due to body-type being endomorph and not wanting to really gain weight. For someone who eats lots of protein in their diet do they need those supplements to help you with the digestion and what not? I read a long time ago that Jay Cutler takes upto 50-60g of Glutamine daily for anti-catabolicism which i doubt plays a role.. However what is the benefit with a high dosage of Glutamine? and what form is the best? peptide? l-glutamine, etc. I remembered researching that it's best to take Glutamine with a Carbohydrate meal also with *Cinnamon, and some other Nutrition Partitioners/GDA's to shuttle the carbs right. Hey man I know you're more informed on herbs/supps so I would like you to look at IronMagLabs Advanced cycle support and tell me if the dosages on the ingredients are sufficient and if you think it looks like a solid supplement or if I'd be better off buying some of the ingredients on their own and dosing correctly such as the grape seed extract, hawthorn berry extract ect ect. Hey man, sorry for the slow reply. Been pretty busy my end !! Well I was going to write back and say buy them individually but that product doesn't look too bad TBH. The Milk Thistle content is not too bad, 80% silymarin is decent which is important in terms of liver/detox because it helps to increase ptotein synthesis in the liver as well as increasing Glutathione production (also in the liver) by anywhere from 20-40% in most people. The NAC is a good dose, I would have gone with the Solgar NAC if I were to buy separately ~ bit stronger at 600mg per capsule versus the 200mg you get in the IML product. The Hawthorne looks like they have put the vitexin content at 1.8% which is quite good, most good standardised ones yield between 1.8-2.2% vitexin (the bioflavonoid content of the berry). COQ10, well it's hard to know as they don't specify the form they use. Most forms don't actually get into the bloodstream due to them being oil based, so a lot are more or less ineffective. Try opening a COQ10 capsule and mixing into water ~ if after a couple of minutes it's still floating on the surface you know you aren't going to absorb and utilise it in the body. Also needs to be converted before it's used as well, great for heart health but there aren't many companies that have got it right. The rest of the herbs look fine and dosed fairly standardly IMO. Seems quite a reasonable product, and would definately save you a lot of dollars than if you were going to take them individually. Hope this helps JIM. Just find a good L Glutamine powder that is 100% pure (nothing else added). I've written in bold above, thanks JIM. Jim, thoughts on Beta Alanine and HMB? What I had I gave, what I saved I lost forever. Firstly, sorry for the slow reply. Okay, both have their merits but I'd tend to lean to BA being the more 'valuable' out of the two you mentioned there. With BA you'll probably get the best benefits from it if you take it 2-3 times spread through the day (2-4g at a time). Powder is good if you can get one that is 100% pure BA with no flavours or anything else added to it. It works by increasing your carnosine levels and carnosine is your buffer against lactic acid. High intensity training causes a decrease in the PH levels of your cells (due to hydrogen ions being forced into them), so obviously if you can extend the time that this takes to occur then you are going to be able to train harder and for longer. ** Numerous studies have shown supplementing with BA to increase carnosine levels up to 80%. So a loading dose of 4-6g/day of BA over a longer period of time i.e. 10 weeks, results in the greatest increase of carnosine. HMB can be a useful supplement to use during dieting as it is anti-catabolic and it's often a popular supplement with BB'ers when they are dieting. HMB is naturally formed during the metaboilsm of L-Leucine and from what I've read it is something that is more beneficial being taken in bigger doses. IMO L-Leucine would be a good supplement to run with HMB as it can also help to maintain muscle mass (L leucine is an essential amino acid, the body cannot manufacture it and it must be ingested through dietary protein). ** Stout, J.R., Cramer, J.T., Zoeller, R.F., Torok, D., Costa, P., Hoffman, J.R., Harris, R.C., O’Kroy, J. Effects of beta-alanine supplementation on the onset of neuromuscular fatigue and ventilator threshold in women. Amino Acids 2007, 32, 381-386. Any suggestions for a light exercise for the back of the shoulder? I'm thinking the crackling back there when I roll my shoulders is more than just my body being weird..lol. Good luck for your meet as well! I've got a few questions from PM I'm working through answering and will post up here soon. My apologies Tom, I must have missed this one. Will answer it shortly, thanks JIM. What was the first book that you read that made you interested in nutrition? Even today I still highly recommend this book, it basically set the ball in motion for me to start heavily researching and drawing my own conclusions regarding nutritional applications for optimal health. 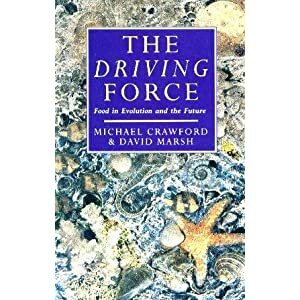 "Setting out to examine how food played a determining role in the way in which creatures developed, this book goes on to explore how nutrition is now shaping the future of life on earth. It points to the links between poor nutrition and modern degenerative diseases and aims to show how European ignorance of African ecology led to the destruction of natural ecosystems and the introduction of inappropriate European farming methods to colonial Africa, and in turn to the famines of the 20th century. The book also deals with the effect of farming methods on the physiology of man's food animals." I have shelves full of books but this is definately one of them that had the most profound effect on me. I wanted to add to your glutamine question. It has been proven on many recent lab studies that glutamine is a pretty pointless supplement for protein synthesis as it was once thought to be. It seems to be a waste of money altogether for the most part as it does not appear to help recovery or tissue repair either as it was once believed to do so. Frank, just out of interest do you have any links to the studies you refer to? I'm open minded about Glutamine. I throw 5g into my Post-WO protein shake along with 5g creatine, but hard to know whether any of them are really working TBH. The only supplement I know is definately having some effect is Beta Alanine, and I've read on numerous occasions that BA and creatine is a pretty good combination to use. I am at work right now but yes I can find some clinical studies I do believe I have some saved. I think the one way to realize if creatine is effective is if you get the initial weight gain. I know some people do not accept it and put on the weight it adds while taking it, most see a 5-8lb gain from what I read and from personal experience. Beta Alanine is amazing, I love using it personally. I always noticed its effectiveness when I start dosing it during contest prep when strength and fatique set a lot sooner. I take an amino acid where glut is already added but I would never put my money on it. The Luecine is enough effect for recovery and proven to do so on all occasions. It's been pretty big news about glutamine as well, so I am surprised you have not come across any articles about that.